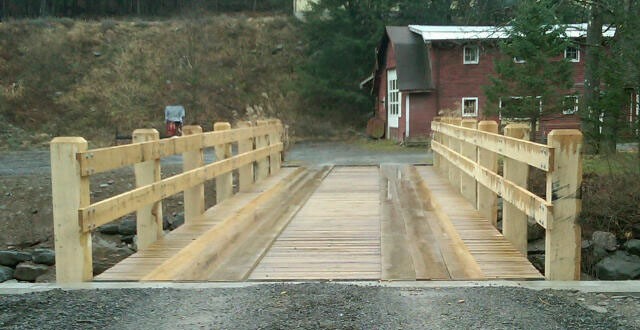 Peak Engineering designed a bridge to carry a private driveway over the Bushkill to a residence. 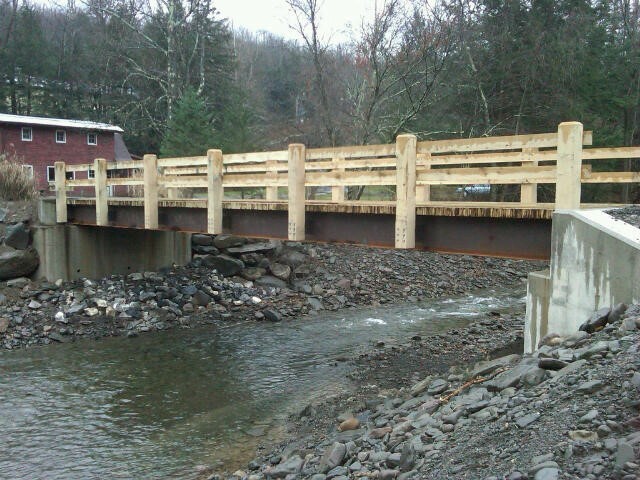 The previous bridge had been demolished by floodwaters during Tropical Storm Irene. The new bridge was designed utilizing one existing abutment.